Set your crock pot to low and add chicken, “cooked” onions and garlic, black beans, corn, rotel, all the seasonings, ranch mix. Add cream cheese on top and cover and cook for 6 – 8 hours. Set your crock pot to low and add chicken, "cooked" onions and garlic, black beans, corn, rotel, all the seasonings, ranch mix. Add cream cheese on top and cover and cook for 6 - 8 hours. I was planning on making the “Slow Cooker Cream Cheese Chili” for dinner tomorrow night when I stumbled upon your adapted version. Now I’m trying to decide which one to make. Did you think it wasn’t as flarvorful as it should be? What was your reason for adapting it? I just don’t want to make it one way and then wish I’d made it differently. Your additives look good though, so just curious. Okay, I made this tonight. So yummy! I didn’t cook the onions ahead of time (because I don’t believe in that for crockpot recipes) and only used 1/2 the cream cheese to save on calories…and it was so flavorful and still very creamy. I added a bit of extra water at the very end to make sure it was soupy enough for us. Wow! I will definitely make this over and over. Thanks! My Mother and Ant Verva came up with the recipe from some one or made it up them selves. I often make their version. I have to rather large crock pots and I think they would be to large to cook it properly. This looks soooo yummy! I bet the Fat and Calorie content must be thru the roof though! lol Guess that’s why it is so good! Actually, I put this recipe into MyFitnessPal.com and if you divide this into 6 servings, each serving is about 320 calories with 13 grams of fat (this was using 1/3 fat cream cheese). So it’s not too bad. 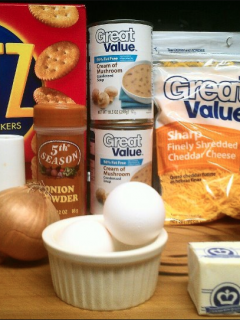 can u mix all the ingredients together freeze it then put in crock pot and top with cream cheese then? I made this tonight and it was fantastic! Everyone loved it. Thanks for sharing it. Weekend Recap | how bout some cake? Does this recipe have a strong RANCH taste. My husband hates allllllll things ranch!!! If it is strong, can I use something else instead? If so, what would you suggest?! It looks really good and I would like to try it, but Im afraid of using the ranch mix. I don’t think it tastes like ranch at all. I make this recipe all the time. It’s yummy! I also hate all things ranch. Except cool ranch Doritos I guess! I tasted no ranch. It is spicy and delicious! I will substitute the cream cheese for vegan queso. It is fat free and cholesterol free. You can buy it at whole foods or order from Amazon. Made by food for lovers. I would’ve given this 5 stars, but it’s a tad bit spicy for the g/babies. It’s so good I’ll be making this my “go-to” work pot lunch recipe. Thanks!! This was ridiculously good, and waaaaay too easy. I used Emeril’s rustic rub since I was out of chilli powder, but otherwise made it as directed. Served it over rice to cut the heat a bit. Fabulous! This was delicious! My hubby loved it. The chicken was so tender I didn’t even need to use a fork to shred it, when I stirred it at the end to blend in the cream cheese the chicken just fell apart! I did add a little water at the end to thin it out a bit (it was a pretty thick chili…could even be served as a dip with tortilla chips). Too spicy for the little one to eat but perfect amount of spice according to the hubby. (And I used the Mild Rotel) I thought it was yummy (I like spicy) but I did top it with a little sour cream which helped balance the heat in my opinion. This one is officially being added to the regular dinner rotation. Thanks for sharing the recipe! Do you think you could substitute sour cream for the cream cheese? This is exactly what I would have done! I found that the cream cheese gave it a very strange texture. (maybe bc I used low fat?) next time, I will skip the cream cheese and just stir in some sour cream at the very end. Easy, cheap, and best freaking chili i’ve ever had. thank you for this. This was delicious! The only thing I left out was the garlic and onion powder and cayenne pepper. I used Tastefully Simple Onion Onion and Garlic Garlic instead of chopping up onion and garlic. Oh and no cream cheese – hubby doesn’t like it. I loved it. Thank you so much! I have all of the ingredients to make this and want to make it tomorrow. What size of Rotel did you use? I bought a large can….should I use a small one instead? could I use salsa in place of the rotel? I found this recipe on pinterest. Once I read all of the ingredients and the great reviews I knew this was something I would have to make for my family. Today was the day! I did not wait for cool weather….here in San Antonio, Texas it is 96 degrees but I want chicken chili! With the kids being out of school we planned on going to the pool so before we left I threw everything into the crockpot. We haven’t eaten yet but I just did a test taste and OMG!….this tastes soooooo good! I made rice to go with b/c my husband usually likes to have it but we also have tortilla chips. I am amazed at how delicious this is and we haven’t sat down to dinner yet. I did only add half the cream cheese since I am not a big fan and I also added half the cayenne because of our 3 children. I just want to say “Thanks” so much and can’t wait to dig in! Hi, I’m making this literally right now! 🙂 And I’m not sure what kind of Rotel to use. I just got the Zesty Tomato and Green chili sauce…is that it? I can’t wait to try it. I’ve never used a crock pot either so this will be a fun way to break in my brand new one! OH MY GOSH! Came across this in Pinterest, threw it all in the crock pot this morning. Mind you, my husband is never very thrilled when he hears that I’m using the crock pot (though he did buy it for me, oh, 15 years ago for our first Christmas. LOL!) But I had plans to go to the pool on this 96 degree day with my son and knew I didn’t want to cook tonight. Lordy, this is one of the most AMAZING crock pot recipes! Served it with salad and blue corn chips. Can’t see what would be so fattening with it if you’re using low fat cream cheese. I was tempted to top it with shredded cheese but totally forgot because it is so yummy anyway. 🙂 THANK YOU! My husband just told me this recipe is a keeper. LOL! I am glad you enjoyed it 🙂 It is one of my favorites. I make this with the Target brand 16oz Pineapple/Peach salsa, cream chs, corn, black beans, ranch mix, and about 4 chicken breasts. IT IS SO SO GOOD! More chicken will make it thicker (if you want) so you can put it inside taco shells. 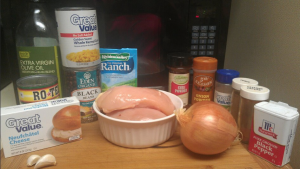 Stupid question: Should the chicken breasts be already cooked when you put them in the crock pot? Or do you put them in raw??? This sounds delicious. 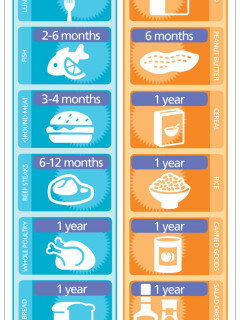 Are you using 2 WHOLE chicken breasts or 2 halves, hence it would be one whole breast? Does the chicken need to be thawed or frozen? I was wondering the same thing. Making this tonight and would like to just throw them in frozen. Is this okay? I cook it from frozen for 8 hours on low in my crock pot. However I add a small can of chicken stock to this recipe as it needs a little more moisture. Doing so made it perfect!!!! Me too!!! Can I just use frozen chicken? Thanks! Great blog! Awesome chili made it tonight Definitely a new family favorite! Would this be a good recipe for a soup exchange I have coming up?? How could I adapt it to make ahead and freeze without 8 hours in the crockpot?? I’m making this today for our community group tonight! Can’t wait…yum. Can I cook it on high for a shorter amount of time? I want to make it tonight but can’t wait 6-8 hours. 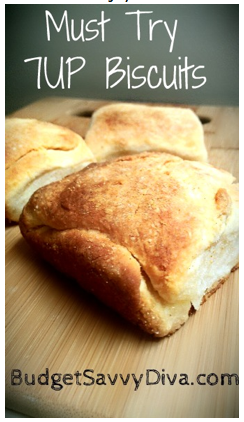 I found this recipe & your blog via Pinterest. I made this today and it’s delish! I changed things up a bit. Definitely a keeper! Thanks for sharing the recipe. First off, I HATE cooking and when I stumbled upon this recipe..I was like “I can do that!” I made this meal tonite and it was SO easy and it tasted like I worked all day on it. I can’t wait to make this meal again and impress 😉 Thanks for the wonderful recipe! Can the chicken be frozen? Or should it be thawed? I made this. I used spicy Ranch, a bag of frozen corn, hot Rotel w/habanero, and upped both the cayenne & the garlic. Left it all day while I was at work. Really, REALLY yummy, thank you so much! 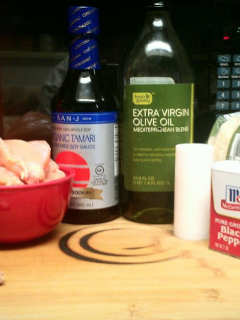 I used three frozen chicken breasts and also 1 green pepper that I diced and sauteed with the onion and garlic. It was a little spicy for the kids, but I put it over brown rice and they loved it. It isn’t too “ranch” flavored at all. Next time I might thin it a little with some chicken broth to stretch it a little further. Great weekend meal, very little prep time and it was delish! I made this last week (adapted slightly because of ingredients I didn’t have) and it was delicious! I want to make it again today but I don’t have the ranch dressing mix. Can I use ranch dressing or is it fine to leave it out? Thank you for this wonderful recipe! I’m trying this right now, but I boiled the chicken first. Will that mess the whole recipe up? Hi! I’m planning on making this tomorrow. The Rotel came in either a 10 oz or 28 oz can, I didn’t see any 14.5 oz cans at my grocery store. Should I be using the 10 oz? I made this for dinner tonight, just as write and it was EXCELLENT! I added one spoonful of water just before serving to thin it a tiny bit but otherwise nothing different. This will definitely be in my two week, maybe weekly, winter dinner rotation! I am totally trying this recipe out. Can I cook it on high for 4-6 hours instead of low for 6-8 hours? I would do it on low personally. I made this last night for an election party. Doubled the recipe (couldn’t fit all two cans of black beans in due to the size of my crock pot), but it turned out perfectly and I got so many compliments. Really a delicious chili!!!! Did it cook thoroughly with the same cook time when you double it? Love this! I used 1/3 fat cream cheese and a little extra cayenne for the kick…delish. Filling, not terrible for you and perfect for the cool fall weather in Minnesota. Thanks! This turned out so good, the chicken was so tender! The first time I made it, I used the Hot Rotel and made the mistake of using the chili powder from the Indian food store. It was so spicy I could barely eat it! My husband loved it though! This time around I’m using original Rotel and my normal chili powder. Hopefully this will tone it down a bit! Good recipe! 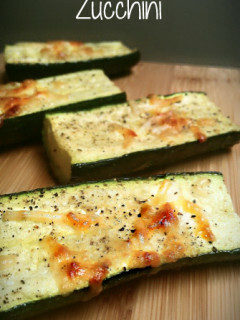 I made this per the instructions and I used lowfat cream cheese and it was soooo good! I highly recommend it, however if you like it kinda mild use 1/2 or none of the cayenne pepper as it is a little spicey!!! I made this tonight and it’s delicious, but when I looked at your picture it looked like a large can of rotel so that’s what I used, it is way too spicy for me, do you have any suggestions in how I can bring the heat down? I love the taste of the chili, but am not a spicy person, I don’t want it to go to waste! I have added a little sour cream and shredded cheese, but it didn’t do much. Any suggestions? I serve this over white rice. Everyone I have made it for loves it. Can this be made on stove top? I made this last weekend and it was delicious! I did add a little chicken broth because it was very thick and rich. I used reduced fat cream cheese and think next time I will use 1/2 of the cream cheese or sour cream. a lot of folks said this was hot. do i leave out the chili powder to make it ok for my kids? what about cumin? is that hot? Just want you to know that I made this a couple of months ago, I think before Christmas and my family LOVED it! 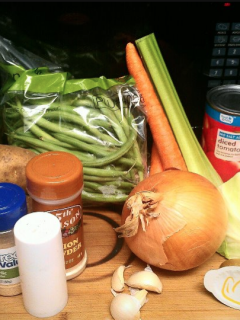 If you look at my post, my husband ate 3 servings that night for dinner. So, no leftovers of course. But I was pulling my menu together for February, I try to do a month at a time, and I was asking my family for meal ideas, the first one my hubby asked for was “that white chili you made a while ago, that would be good!” So yes, I’m making this tonight! Thanks for a great recipe, its a keeper in our house, especially when Brian asks for it! Sorry, I meant to say I found this on Pinterest when I was referring to my post. Thanks again for an easy delicious recipe. My family loves spicy food so this one is a winner. I also used the Neufchatel cream cheese which is less calories. I always use that in my recipes and have not found any difference in the taste. I made this tonight for dinner and it was a hit withy husband and son. I liked it a lot, but I thought it was a little heavy and too spicy after awhile. I saw some of the other comments and am going to use some of the suggestions that I read. Next time I am going to use half the amount the the cayenne pepper, and I will and some chicken broth to thin out the chili a bit. We’re ready. « the years of us. 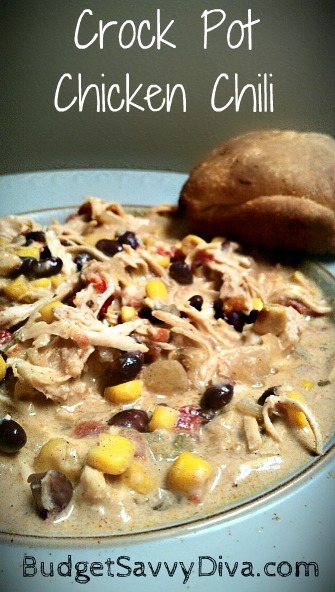 This chicken chili is out of this world! My boyfriend and I have already made it numerous times, but he still suggests it every time I’m wondering what to do for dinner. We actually submitted it into a chili contest at work and won first place! By the way, the news that this is only 320 calories per serving is just the icing on the cake! Thank you so much for this recipe and for the nutritional info! Is the cream cheese supposed to melt through all the way because mine is just staying in little chunky pieces? How would you triple this recipe? I’ve made this before and it was fantastic! Now I’m needing to feed a large crowd and I don’t want to add too much of something (like the ranch and spices) to make it too spicy or too ranchy. I’ve made this chili several times — I even entered it in our church’s chili cookoff fundraiser. Sadly, I didn’t win, because all the chili got eaten before half of the people arrived!! 🙂 I had DOZENS of people ask for the recipe, and I referred them to this site. I agree that it’s not too ranchy. Most people were amazed when I told them the secret ingredient. I LOVE this soup. I could eat it once a week, seriously. I have made it for my friends and everyone loves it. I do leave out the cayenne pepper but if you love a creamy soup, this recipe is for you. It goes GREAT with potato bread! I love this chili! I didn’t put any chili powder in it because its already a little spicy. I have never made chili before and I have made this once before and it came out great! Another favorite of my husbands and mine! This is the exact recipe I use! It’s so delicious. MMM. I used plain Greek yogurt instead of cream cheese to save calories and it was great! If it is too spicy for you, just add another can of regular diced tomatoes and the heat will be reduced. i’m getting sick of beef tomatoey chili.. will need to make this soon! This looks so easy for people on the go! I love chicken chili but haven’t tried it in the crockpot. I will have to try it. this is one of my favorite recipes of yours!!! so great! Cant wait to try this one too!! Have you ever tried to make up a double batch of this and can it? Any ideas? This chili is SO good! I’ve made it multiple times and it’s always great. Today I was worried though because I let the time get away from me and didn’t have the full 6-8 hours to cook it on low and my chicken wasn’t defrosted. So, I put all the ingredients in the pot except the chicken and cream cheese on HIGH while I defrosted the chicken. Once the chicken was defrosted, I added it to the pot along with the cream cheese and cooked it on high for just a little over two hours and then turned it down to low for two hours. Chicken was completely cooked, shred easily with two forks, and the chili was as delicious as usual. I’m planning on making this tomorrow. Am I right that we do not cook the chicken before hand. I thought all meat had to be cooked before putting it in a crock pot. Made this Tuesday night for my bunco group and it was a HUGE hit. Making it again tomorrow. The only thing I did different was to double the chicken. Really? Cream Cheese in Chili? Sounds strange to me. I may substitute cream of chicken soup. My family just loves this chili!!! How I reduced the spiciness was to use the Rotel mild and add an extra can or two of diced tomatoes (the fire roasted ones are fantastic). 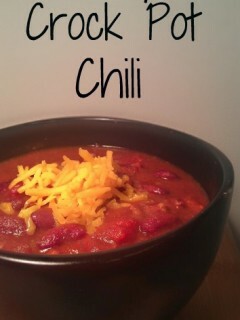 Thanks again for sharing this awesome chili recipe! So we ate this delicious dinner for 2 nights (as I doubled the beans and corn and for night 3 we had a little left (couldn’t throw it out) so I used it in cheese quesadilla’s OH MY GOSH!!!! Absolutely incredible that way too!!!! Definitely going to be a staple in our house!!! Thank you!!! Can you cook on high and make in half the time? Can the chicken be frozen when u put it in the crockpot? Cooking isn’t my thing…but I do try! Love anything with ranch dressing and/or cream cheese. BUT I ran into a small problem. At the end I stirred the soup (cream cheese was still on top)…but it curdled when stirring. What did I do wrong? What the heck is “Rotel”? My family LOVES the chicken chili. Thanks for sharing your recipe.